His Highness Sheikh Sultan Bin Khalifa Al Nahyan Humanitarian & Scientific Foundation comes as an extension of the vision of H.H. Dr. Sheikh Sultan Bin Khalifa Al Nahyan to ensure and deliver the determined objectives that serve the UAE community in specific and the global community in general. 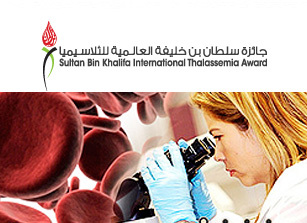 Dedicated to value and support National, International, and Institutional & Individuals that have made substantive efforts & contributions towards improving quality of life of Thalassemia Patients. 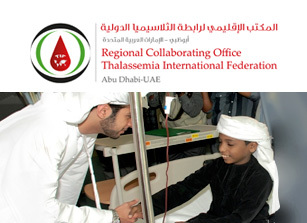 Regional Collaborating Office of Thalassaemia International Federation (RCOTIF)�is a joint venture between Thalassaemia International Federation�and�His Highness Sheikh Sultan Bin Khalifa Al Nahyan Humanitarian & Scientific Foundation to expand activities to many countries in the Eastern Mediterranean Region & Africa. 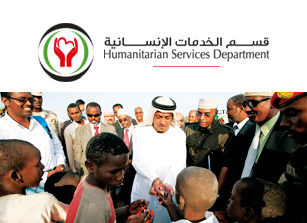 Sultan Bin Khalifa Humanitarian Division is established to serve the humanitarian and charity activities locally and internationally with the primary vision to alleviate human suffering.�	This division concentrates on supporting the Foundation's strategies in developing and structuring humanitarian necessities. Foremost emphasis is to aid health, education and social needs. Circle of Hope was established to make the world a better place through opportunity and education, with a main vision that focuses on the key areas of education, young people and women. To date there are three initiatives within the institute, each with its own mandate, all contributing to sustainable development. �Wanna Read?� is a novel charitable initiative led by Her Highness Sheikha Shamma bint Sultan bin Khalifa Al Nahyan that adds a new dimension to the care provided by the UAE health sector. Its mission is to foster wellbeing and learning through books that encourage the heart and model the way for the young minds of our future generations. Humanitarian & Science Foundation. All Rights Reserved.